There is a big opportunity for earning a lot of money from selling gold, but not if you have the right know-how. This is why you need to be careful of who you’re dealing with. Because gold is such a commodity, there’s a great possibility you could get duped for your cash. In this article, we will outline tips you need to follow to make sure you get the best deal when you’re selling your gold. Be careful about what measurement standard is used to weigh your gold. Some dealers will weigh your gold by pennyweight to measure your gold, but be aware that pennyweight is equivalent to 1.555 grams. This allows the dealer to pay you less for a gold of higher value. Make sure to ask the dealer to pay you by gram and always keep your eyes on the scale. You were buying gold bullion in Australia before but now you’ve decided to sell them due to a financial emergency. Before going to the pawn shop, make sure to separate your gold by karat. One tactic shady dealers will do is weigh all your gold together and compute with the lowest karat value. This is not allowed as different karats should be weighed separately. Again, keep an eye. And don’t hesitate to ask or clarify if you are confused about the process. Some dealers might take advantage of your need to have quick cash by offering a lower value for your gold. Don’t let desperation prevent you from doing your research. Check out sites like goldprice.org to determine the price of your gold. It helps to be armed with facts when selling your gold. Don’t be too quick to melt your gold jewellery just yet. You shouldn’t settle right away at the first pawnshop that you see. Take your time looking around for different bids. You may want to have your gold appraised before selling so as to know how much it is really worth when you consider its workmanship, gems, and artistic value. It’s going to cost you to get appraisal but you can rest knowing that you’re settling for the best deal because you already know how much your gold is worth. Doing a little research on your potential gold buyer is good. 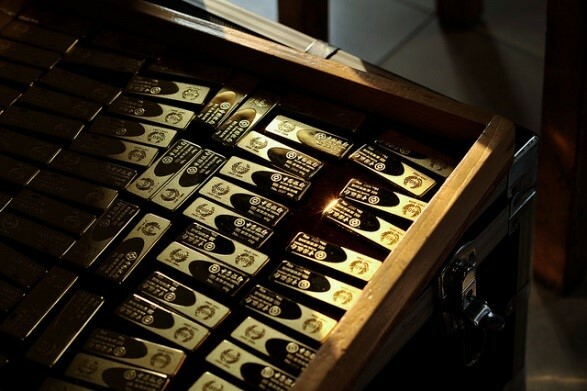 It gives you an idea on how reliable they are when it comes to dealing with gold. Be careful of dealers with offers that are too good to be true. These are likely to be scams that bait desperate people who need instant cash. Instead, go for dealers that have been in the gold buying and selling for many years. A good example is Gold Buyers Melbourne. The shop has been around for so long and has established its name for being one of the most reliable gold dealers in Melbourne. Gold Buyers Melbourne started in 1948 and still continues to serve people who deal with gold until today. Follow these tips and you should be able find a decent gold buyer who has integrity and will offer you a fair price for your gold. It’s difficult to find a reliable dealer, but once you do find one, your life will be so much easier knowing you don’t have to look further anymore. What other suggestions do you have for getting the best deal for gold? Let us know in the comments. I’ve been thinking about selling some of my gold coins to a buyer. I’m glad that you mentioned doing research ahead of time on the value of my coins. It’s important to me that I am offered a good deal, so I will have to check ahead of time and maybe get some quotes. Thanks for the great gold selling tips. I like how you said that we need to get it weighed in grams, and not pennyweights. We need some extra money, so I’ll remember this for when my wife sells her jewelry.